This week, Paul spoke to Susie Speller, Associate Professor of Materials at St. Catherine’s College, Oxford. Susie first came to the University of Oxford as an undergraduate student in Materials Science, staying on to gain a DPhil in the field of high temperature superconducting materials. She was awarded a Royal Academy of Engineering Research Fellowship in 2005 which she undertook part time in the Department of Materials until she took up a permanent academic post in 2015. 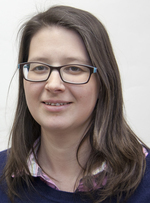 Susie leads a research group specialising in superconducting materials and co-directs the Centre for Applied Superconductivity which was established in 2015 (www.cfas.ox.ac.uk). She is also one of the admissions tutors in the Materials Science Department at St. Catherine’s College and is therefore right at the ‘sharp end’ of the process of assessing applications and interviewing prospective students. What does your role as an admissions tutor involve? Susie assesses the UCAS forms sent in by applicants, decides which students to invite for interview and then interviews them for admission to St. Catherine’s College. In the context of press reports and studies which suggest that Oxbridge deliberately disseminates against certain groups of applicants and ends up with little diversity, what are the common myths about applying and what puts students off? Susie believes that there is a perception that Oxbridge is elite and only students from wealthy or public school backgrounds will fit in. She disagrees with this and says that there is a large amount of diversity at Oxford amongst students and academic staff. Oxbridge is highly selective, however and students are selected for their intellectual and academic potential – not what kind of education they have had or how much money their parents have and whether they themselves went to university. When looking at UCAS forms, the school an applicant went to is not considered very much at all. In fact the only time Susie really takes account of the school is when it’s ‘flagged’ by UCAS as being in a less advantaged part of the UK or hasn’t historically sent many students to university. This is to ensure those students are not being disadvantaged by the process. This is known as ‘contextual data’. What Susie is actually looking for is the applicant’s previous academic performance and what their potential is to get a good degree at the College. The data still shows that certain types of students aren’t getting through what appears to be a very fair process. Are they just not applying because they think it’s not for them? Susie also suggests that teachers themselves may have prejudices against Oxbridge or not want to raise the expectations of their students – they may not think it’s an attainable goal, even for their high-achieving students. This is what people like Susie at Oxbridge are trying hard to overcome. What can teachers do to encourage their students to apply to Oxbridge? Susie believes a change in attitudes is needed – not only amongst teachers but maybe parents as well. There maybe prejudices to overcome. The most important message for teachers is to avoid discouraging their high-achieving learners from applying to Oxbridge just because they don’t have a lot of experience helping students to do so or because they think they know what Oxbridge is like even though they and their students haven’t been and seen it. Teachers should be encouraging their students to find out more – to go to open days or attend outreach events put on by the universities. Do A-Levels prepare students for degree courses at Oxbridge? In STEM subjects, Susie believes there are problems with A-Levels. It isn’t what’s taught but the fact that very able students can do well in A-Levels just from rote learning. If they have a good memory and they work hard they can learn how to answer the questions. Teachers become very good at teaching their students how to do well in the papers – which is what they are judged on. This can discourage the students from thinking for themselves which is precisely the kind of skill Oxbridge wants them to have. The problem is with the qualification – not with teachers. There also isn’t enough opportunity in A-Levels to practise the skills so that you cna apply them to problems. Students from other countries seem to be better at this then those from the UK, in general – from state and independent schools. However, after a little time, the differences are flattened out and UK students are actually better at problem-solving than their fellow students from abroad. There is a huge amount more detail in the episode so do listen right to the end!